I just could not get inspired by Verushka’s long hair so I decided to put it up and see what happened. I LOVE it! This entry was posted on May 10, 2011 by raberry65. 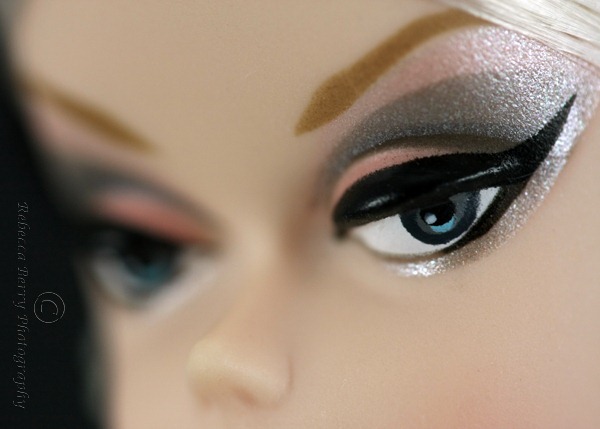 It was filed under Barbie, Silkstone and was tagged with BFMC Barbie, Bogue's Vogues, Doll Diorama, Doll Photography, Fashion Royalty Going Public, Fashion Royalty Monogram Incandescent, Fashion Royalty vibrant dimension, FR2 Metropolitan, Rebecca Berry Photography, Verushka Silkstone Barbie. She looks amazing, Rebecca! What a difference!